Whether you’re a diehard vinyl enthusiast, a pro DJ or dusting off your parents’ records for the first time, CES 2019 had a turntable for you. Record players were out in force in Las Vegas, with models that both revived old-school favorites, and added bang-up-to-date analog to digital converters to allow for hi-res wireless playback without undermining that vinyl charm. Streaming and digital sales may now be the staple of music consumption, but there’s a growing amount of people that long for the days of ownership over their record collections, and the joy of a physical disc and beautiful artwork sleeve that goes with it. The vinyl revival shows no signs of slowing then, with RIAA (Recoring Industry Association of America) seeing figures trending upwards from the 16 million new records sold in the US in 2017 – and that’s not including the booming second hand market, which is estimated to more than double that total figure sold to over 30 million. So, with that record collection growing, here’s what you should be playing your vinyl on in the next year. Love your vinyl, but don’t want to miss out on the modern convenience of wireless playback? The Cambridge Audio Alva TT could be for you. A brand new deck from the company, it’s the world’s first to include aptX HD Bluetooth support, giving you hi-res playback at 24-bit-48kHz. Crafted in-house at Cambridge Audio’s London, UK headquarters, it’s a direct drive model built from solid aluminum and making use of a hefty polyoxymethylene platter, taking the edge off of unwanted vibrations that can otherwise distort pristine playback. With a built-in phono stage and single piece tonearm, the Alva TT also comes with a high-output moving coil cartridge fitted out of the box. Expect to see it on sale in April 2019, priced at $1700 (£1500 / around AU$2,400). The return of a much-loved line, the Technics SL-1200 MK7 (AKA the SL-1210 MK7 in the UK and Europe) looks to deliver what earlier models managed, but at a more palatable price point of $1200 / £899. This works out at around AU$1600, although Australian prices are yet to be confirmed. A favorite among DJs, the design retains the S-shaped aluminum tone arm of earlier builds and an aluminum die-cast chassis. 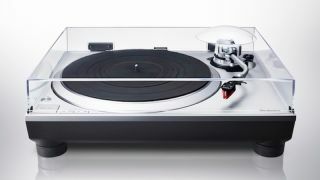 According to our friends at What Hi-Fi, that’s likely one of the cost cutting areas, with the deck using a “special material consisting of ABS mixed with glass fibre” rather than the aluminum and BMC of Technics earlier high-end models. Not that the ABS/glass fibre mix should turn you off, with a new core-less direct drive inside designed to prevent fluctuations in rotation speed and a new Reverse Play feature for those looking to mess around with 78rpm. Want a turntable that’ll slip in seamlessly with your living room furniture? 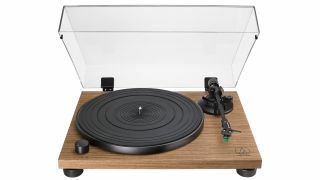 The wood-finish AT-LPW range from Audio-Technica could be what you’re after. Two separate models have been on show at CES 2019 – the dark walnut finish AT-LPW40WN and the teak AT-LPW30TK. Both feature a built-in phono pre-amp, but there are a couple of notable differences between the two. 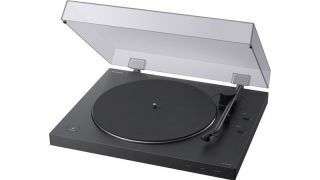 Though both will offer “a natural, high-fidelity sound” according to Audio-Technica, the AT-LPW40WN uses a carbon fibre tonearm and VM95E cartridge, while the AT-LPW30TK has a straight aluminum tonearm and VM95C cartridge. You’ll find the AT-LPW40WN in shops from January, priced at $299 / £299 , while the AT-LPW30TK lands a little later in the spring, priced at $259 / £259, with pricing in other territories to be confirmed. Those not adverse to mixing the analog and digital worlds together will find another turntable to enjoy in the shape of the Sony LX310BT. An update to the PS LX310 model, it’s packing an aluminum tonearm, a built-in phono stage and an aluminum platter for stable rotation. Bluetooth connectivity is the highlight here, but the tonearm has a nifty trick that will see it automatically hunt down the start of a record and raise when it finishes. It’ll hit shops in Spring priced at a very reasonable £200 / $255 (pricing and availability in other territories is yet to be confirmed), making this a great entry point for beginners. 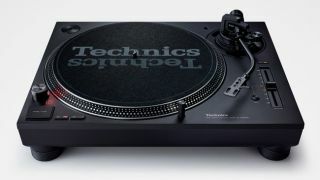 If you’re after a premium cordless direct drive deck, Technics gave another of its classic turntables a slight makeover at CES 2019. A more accessible offering than the pro-focussed MK7 line, the SL-1500C offers an integrated MM phono amp and is equipped with an Ortofon 2M Red cartridge. Reducing interference by isolating the phono EQ power supply from that of the motor (which uses parent company Panasonic’s Blu-Ray tech), it keeps rotations stable and evenly paced thanks to a two-layer platter – a mix of rubber and die cast aluminum. Pricing and availability are yet to be announced for this one. Not one, not two, not three, but four new models enter Audio-Technica’s budget-friendly LP60 line-up ticking boxes for those looking for a digitized record collection and headphone listening. 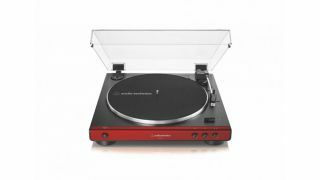 All four turntables allow you unbox and get on to playing records in seconds and have two speeds: 33 1/3 for long play albums and 45 RPM for singles and 12-inch records. They also all boast a preamplifier with switchable phono/line output, which allows you to easily connect to active-powered speakers or a phono-enabled amp. There’s also an AC adapter, which handles AC/DC conversion and reduces noise in the signal chain for a crisper sound. Head here for a brief run down on each.